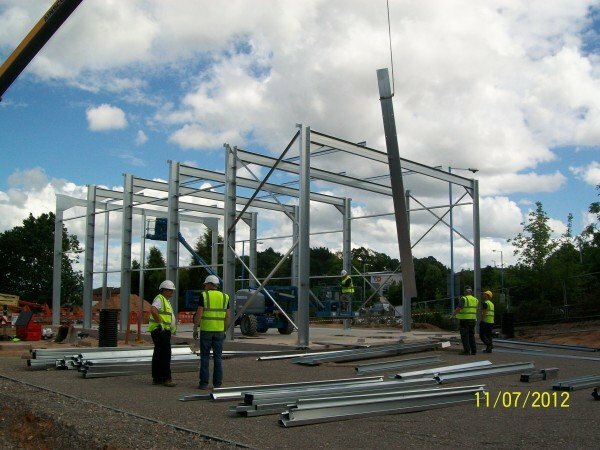 Here at Steel Buildings we offer a wide range of design, installation & steel construction services mainly within the UK, and overseas. We would welcome the opportunity to help you make your steel building construction project a reality with our professional steel building services and in house design processes. 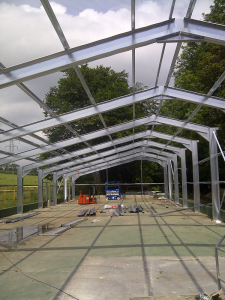 Steel Buildings specialise in the Design, Detailing and collation of steel building components. To create Steel Building kits, that include holding down bolts, primary Steel Frames components and connecting bracketry, bolts, Single Skin steel and Steel composite outer cladding systems, cladding fixings. We can also cover the supply of personnel access doors, and Roller shutter doors. Or alternatively openings only, for your own doors solutions. 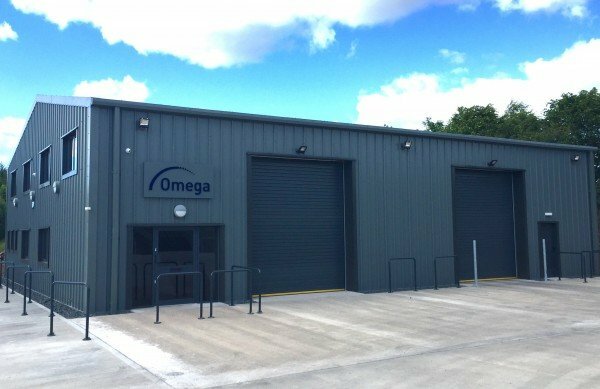 We source components from various CE marked partners in our supply chain, ensuring we maintain our position of offering the best Cold Rolled Building solution at a competitive price. Maintaining customer service levels, second to none. If a customer needs materials on a certain date, at a certain time. Those materials will arrive. We have a bespoke design and collation facility in Worcestershire. Meaning we collate all elements of the steel Building together from the various supply chain partners. Generally resulting in only one delivery to site, this and our central location keeps the delivery cost element of your steel Building cost to a minimum. Also allowing materials to be stringently checked for quantity, quality and accuracy before being dispatch to our customer. 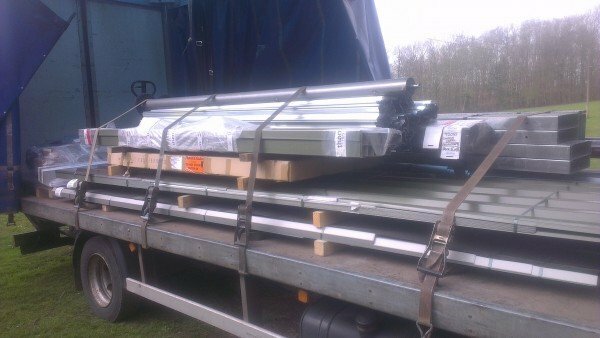 Steel Buildings are happy assisting our customers with the complete supply of the building kit, or just frame only. Allowing our customers to source their own external cladding and door systems. 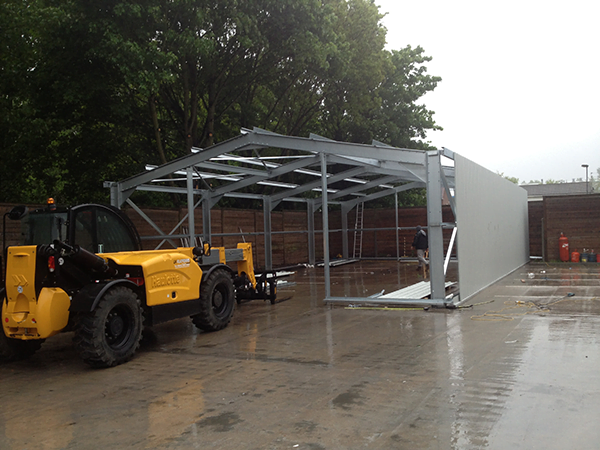 Steel Buildings are able to manage the process of installation of your Steel Building project, if required. Or provide the bolt together kit for self-assembly. Using installation guides and telephone support. Alternatively provide our customers with contact details of experienced installers that will complete the installations to a high standard.